Looking for quick ways to make soup is easy with a soup maker. After my review, I’ve decided to keep making different soups to see how they work out. 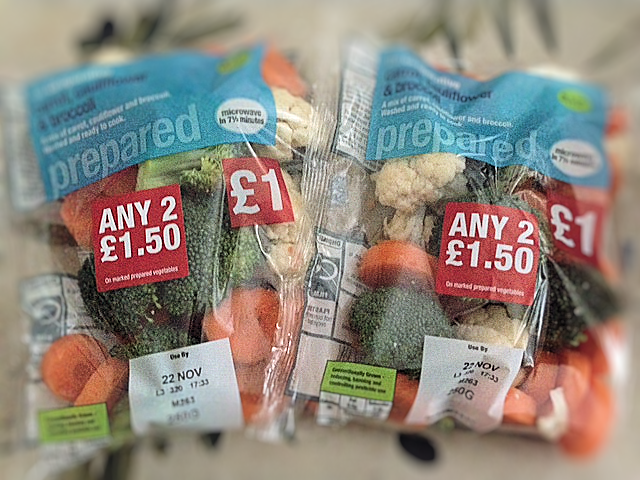 In the co-op, I found these small bags of washed and prepared broccoli, cauliflower and carrots. It was really easy to make these into a fast and delicious soup which is perfect for a lunch, starter or even just a light snack. Put vegetables into the soup maker. Add salt and pepper to taste & sprinkle on the stock cube. Fill the soupmaker up to the 1.3 litre level and switch on to the smooth setting. Serve with a 2 bay leaves for decoration. is it 500g in total vegetables or 500g combined?